The last decade has seen a massive increase in international capital flows to emerging markets. This development has offered opportunities to those countries that have opened themselves up to overseas capital, but it has also created risks. In this volume, a team of policymakers and academics from 14 different countries, as well as representatives of the international financial institutions primarily responsible for responding to the crises, examine the challenges and options facing policymakers today. 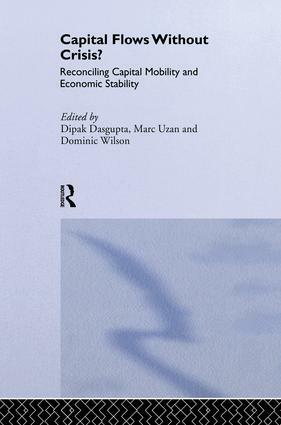 The book includes both detailed analysis of individual economies from around the world and in-depth analysis of the broad systemic issues of why crises occur and how we can prevent them. By looking at economies from many different parts of the world, the book provides a broad and comprehensive look at the similarities and differences in recent financial crises.